In the Food Leaders Series webinar on September 10th, 2012, True Food Solutions Founder Jason Matyas welcomed farmer, blogger, and author Noah Sanders. Noah talked about his family’s journey to go back to the land and implement a sustainable model of small scale farming that honors the Creator’s design. 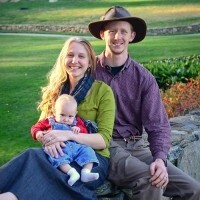 Noah’s book Born Again Dirt provides a look at agriculture through a Biblical lens and has been a blessing to many in providing guidance on how to think about issues related to farming and lifestyle. Get 20% off your entire order in the online store using code ‘BornAgain‘ at checkout. 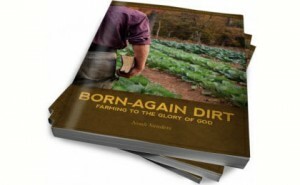 PLUS, get a digital eBook copy of Noah’s Born Again Dirt for FREE when your order subtotal is $50 or more!